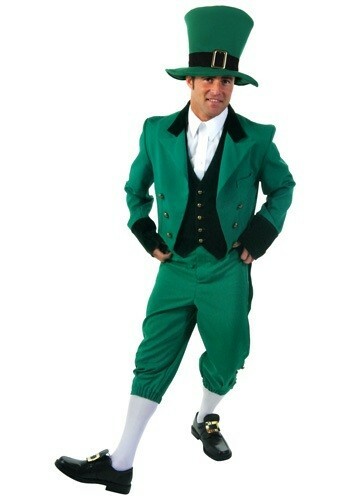 When you wear a Plus Size Leprechaun Costume you're going to have more than a few people ask you to give them a jig. You'd better brush up on those skills for the big day. Google Michael Flatley. You're welcome! When St. Patrick's Day rolls around, there's a few things you can do to celebrate. You could wear that old green sweater your grandmother made for you, but it doesn't really fit that well anymore, and let's be honest, it's itchy. Or, you could NOT wear something green, (hater!) and risk getting pinched all day long. But if you really want to go all out and celebrate St. Paddy's like it deserves to be celebrated, then you need a Leprechaun costume. It's really the only option out there. 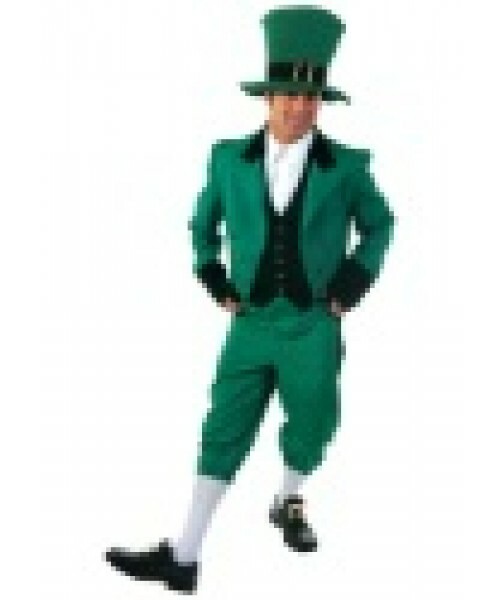 Don't be surprised if you get a free Guinness out of the deal at your favorite Irish pub. That's not guaranteed, but luck be with you, lad!